Karl H. Lincke recently published an article in the book ¨International Advertising Law¨, third edition, concerning advertising law in Spain. Karl H. Lincke recently published an article in the book ¨International Advertising Law¨, third edition, concerning advertising law in Spain. This publication deals with advertising law in various countries. Twenty six experts provided reports to analyse this area of law. Karl H. Lincke explained how advertising law is regulated in Spain. Given that cross-border advertising has gained more importance in recent years, marketers are increasing their willingness to broadening their aimed market outside of Spain. Karl H. Lincke provides an overview for a better understanding of the advertising laws in Spain and analyses the main regulations of this area of law. The General Advertising Law in Spain (1988) is based on European Union law and, in particular on the Misleading Advertising Directive. Spanish provisions regarding this area of law are built on fundamental principles, such as legality, truthfulness, genuineness as well as free competition. Advertising law disputes can be resolved in or out of court. However, alternative dispute resolution has gained more importance. To sum up, there is no specific law that governs advertising in Spain. This article gives an overview on Spanish regulation regarding advertising law which can especially help marketers understand what provisions govern this area of law. 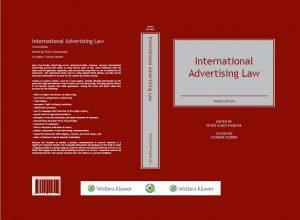 You will find the complete article in the book ¨International Advertising Law¨, third edition, edited by Peter Schotthofer and by co-editor Florian Steiner. Published by Kluwer Law International B.V.